On 27 September 1922, Dáil Éireann passed emergency legislation which allowed for the execution of those captured bearing arms against the Free State. The legislation passed to the National Army powers of punishment for anyone “taking part in or aiding and abetting attacks on the National Forces”, having possession of arms or explosives “without the proper authority” or disobeying an Army General Order. Interestingly, though the legislation was known as the Public Safety Bill, no such Bill or Act can be found in the records of the Irish state. The Provisional Government (in place between January and December 1922 to make sure the Treaty was implemented) had no legal right under the Treaty to enact new legislation without royal assent, the King being represented in the person of the Governor General. So the “Public Safety Bill” was merely a resolution of the Dáil. It was retrospectively legalised in August 1923. "If murderous attacks take place, those who persist in those murderous attacks must learn that they have got to pay the penalty for them. Just now those people think, and as far as our action is concerned, up to this, it has looked as if they had perfect liberty to attack our soldiers, to maim them, to wound them, to kill them, and to suffer no greater penalty than internment. Those people not alone take part in those things, but go away silently smiling and laughing at the destruction they have wrought. They must be taught that this Government is not going to suffer their soldiers to be maimed and ruined, crippled and killed, without at least bringing those responsible for such destruction before a tribunal that will deal out justice to those people". The Act passed by a vote of 41-8. (Remember, the Sinn Féin candidates abstained from the Dáil, so only pro-Treaty TD’s were present, accounting for the small number voting). Some few voted against the Act, holding that the Army was already acting in an undisciplined manner. In particular, Thomas Johnson (above), a Labour TD, argued: "When we are dealing with so serious a matter as doing what is in effect that which has been demanded by the section of the Army that has ceased to be under the control of the Government, that is to say, giving that Army military power over every person in the country - the setting up, by the vote of the Dáil, of a military dictatorship - we should at least have some reasons given us and some thorough examination and disclosure of the military position throughout the country". 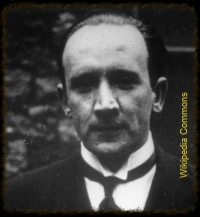 At cabinet level, a unanimous decision authorised the execution policy and Kevin O’Higgins (above), the then Justice Minister, stated: “It was done deliberately and in the belief that only by that method could representative government and democratic institutions be preserved here”. Following passage of the Act, the first executions took place at Kilmainham Gaol on 17 November 1922 when four anti-Treaty Volunteers were executed for possession of revolvers - Peter Cassidy, James Fisher, John Gaffney, and Richard Twohig. Cassidy and Gaffney were from the 3rd Dublin Battalion and the other two from the 2nd Battalion. Again, Thomas Johnson protested in the Dáil but Gen Richard Mulcahy argued that he knew that people would be shocked and saddened by the executions but “stern measures had to be taken or assassins and wreckers would destroy the country”. Very shortly after these executions, it began to be whispered that the Provisional Government decided to soften up public opinion in advance of the execution of Erskine Childers (below) by executing lesser-known victims first. It was thought that if Childers, who had been captured on 10 November at his home in Glendalough, County Wicklow, was executed first, too many questions would have been asked about the “retaliation execution” policy. 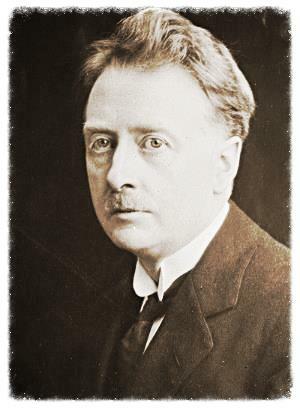 (Childers was the anti-Treaty Director for Propaganda, but he was often ostracised from the anti-Treaty forces and referred to as “that bloody Englishman” due to his foreign birth. 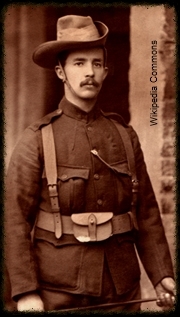 Many in the IRA high command of the anti-Treaty forces distanced themselves from Childers on the grounds that he was too infamous to be of any practical use, despite his considerable military experience. 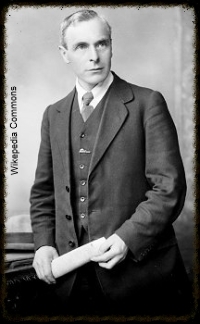 Childers was tried by a military court on the charge of possessing a Spanish-made “Destroyer” .32 calibre semi-automatic pistol, which had been a gift from Michael Collins. He was convicted by the court and sentenced to death on 20 November. While his appeal against the sentence was still pending, Childers was executed on 24 November by firing squad at Beggar’s Bush Barracks). because he was an Englishman”. This was while Childers’ sentence had yet to be confirmed. Because the court was in camera it was not known publicly that the only charge against him was possession of a weapon. O’Higgins had given the Dáil the impression that the charge was much more serious. 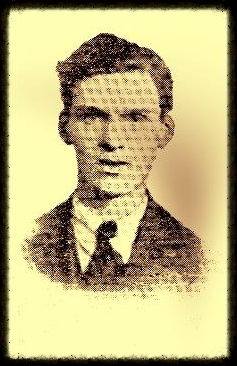 Cassidy, Fisher, Gaffney and Twohig (below) were the tragically chosen “rank and file Volunteers” who were to become the “lesser-known victims” of the Free State’s official retaliation execution policy.